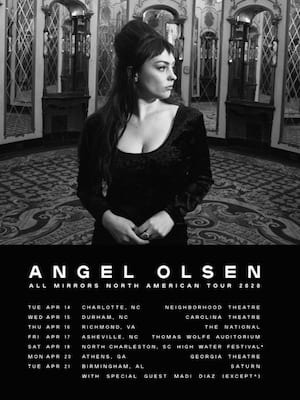 One of indie rock's most acclaimed singer songwriters, Angel Olsen on her latest jaunt, the Tiny Dreams Solo Tour across America, landing near you. Blessed with an unmistakable voice that seamlessly pitches from husky whisper to operatic cries, St. Louis-born Angel Olsen first emerged as a member of backing member for Bonnie 'Prince' Billy, before hitting out on her own. Her first couple of records were sparse, folky efforts, but that all changed with 2014's electrically charged, surging Burn Your Fire For No Witness. Her 2016 record No Woman continued the trend, as evidenced on the insanely catchy single 'Shut Up Kiss Me'. Sound good to you? 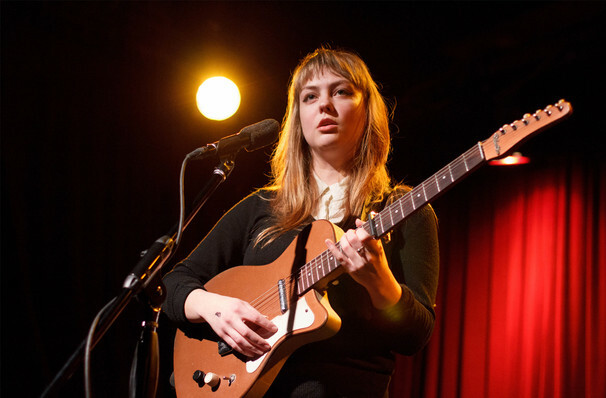 Share this page on social media and let your friends know about Angel Olsen at Paramount Theatre. Please note: The term Paramount Theatre and/or Angel Olsen as well as all associated graphics, logos, and/or other trademarks, tradenames or copyrights are the property of the Paramount Theatre and/or Angel Olsen and are used herein for factual descriptive purposes only. We are in no way associated with or authorized by the Paramount Theatre and/or Angel Olsen and neither that entity nor any of its affiliates have licensed or endorsed us to sell tickets, goods and or services in conjunction with their events.